On March 23, 2018, Mexican citizen observer groups joined together with civic technology groups in Mexico City for a workshop aimed at discussing specific ways the two communities could collaborate to address disinformation ahead of and around Mexico’s 2018 elections. Disinformation, or the deliberate dissemination or generation of false information intended to manipulate public opinion and discourse, is a growing threat to democracies around the world. It’s a particularly serious problem during electoral processes, as it can stifle citizen participation, amplify false narratives, subvert the will of voters and undermine citizens’ confidence in democratic systems and institutions. In certain cases, it could also increase the potential for electoral violence. Citizen observer groups around the world are confronting the impact of disinformation on electoral integrity in their countries, and are exploring methodologies and tools to incorporate disinformation monitoring in their observation efforts. Mexico is scheduled to hold general elections on July 1, 2018, which are being called “the biggest elections in Mexican history” by the National Electoral Institute (Instituto Nacional Electoral, INE). Mexico has already seen a series of well-documented attempts to manipulate the online media environment for political advantage in the past, and given the high-stakes of the upcoming elections, as well as the widespread use of online platforms, the potential for disinformation to impact the electoral and information environment are high. 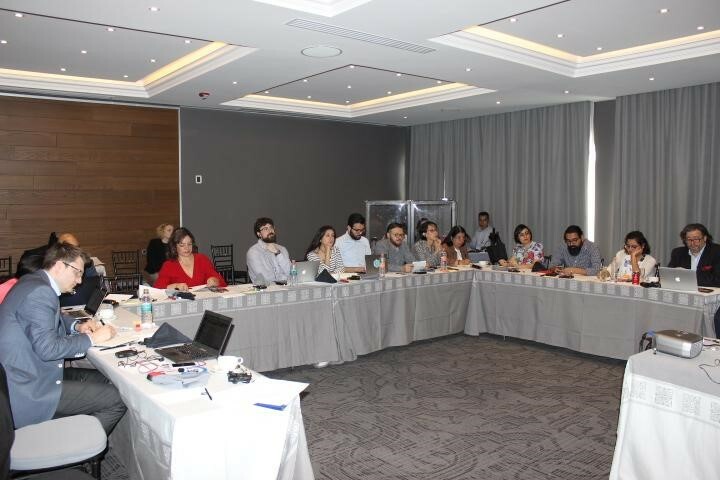 In order to address these issues, the National Democratic Institute (NDI) convened Mexican civic tech groups and citizen election observer groups to discuss ways in which the two communities could share information, tools and resources during the electoral period. Through a facilitated discussion, both sets of groups aimed to identify and agree upon ways to collaborate more effectively during the 2018 elections, particularly in regard to how disinformation impacts the integrity of elections. Citizen observer groups, who historically have experience monitoring traditional pre-election and election day processes, met with civic tech groups, who are currently observing the media environment, including social media platforms, and providing fact-checking services to counter false narratives. The workshop enabled the two communities to discuss what pieces of information or data they could both provide to the other community, as well as what information would be most useful to receive from the other. They also discussed how others’ data could help to inform their analysis and assessment on the integrity of the elections. During the discussions, international experts facilitated and contributed to the roundtable, including Serbian citizen election observer group and GNDEM member the Center for Research Transparency and Accountability (CRTA). CRTA, who has monitored several recent elections in Serbia, has also incorporated media monitoring and fact-checking efforts into election observation, helping to monitor and combat the spread of false news. CRTA’s experience helped to provide an important perspective for the citizen observer and civic tech groups. The roundtable on March 23 built off of a March 21 and 22 conference co-hosted by the INE and NDI on “Disinformation and Elections,” which brought together a broad set of electoral stakeholders, including election officials, civil society, international experts, civic-tech groups, academics, and political parties to discuss the threat to electoral integrity posed by the use of disinformation in Mexico’s 2018 elections. Recordings from the event’s livestream can be found in Spanish (Day 1and Day 2) and English (Day 1 and Day 2).